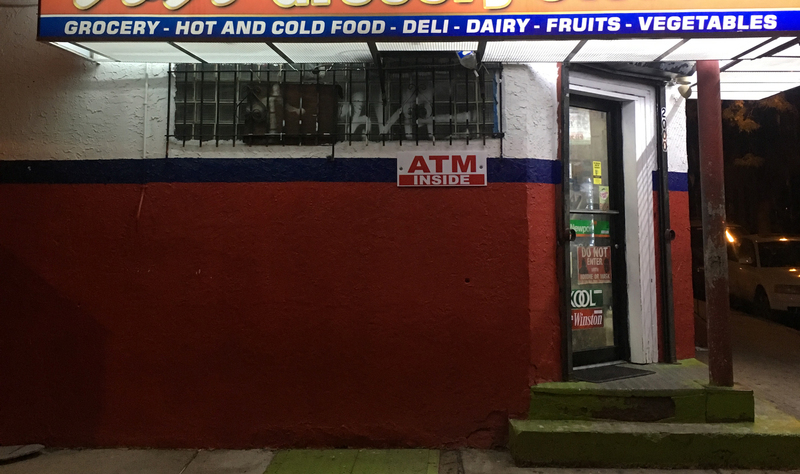 This corner store in Philadelphia was among three targeted by Koren Jones during his armed robbery spree in November 2016. In a violent two-day crime spree, Koren Jones stole about $450 from small Philadelphia businesses in two armed robberies and one attempted robbery. In pursuit of that small amount of cash, Jones threatened three shops, seriously injured a store customer, fired at a cashier, and left a neighborhood shaken. In August 2018, Jones, 25, pleaded guilty to two armed robberies, one attempted robbery, and firearms offenses and was sentenced to 35 years in prison, followed by five years of supervised release. The first robbery occurred on the afternoon of November 4, 2016. Jones reportedly pointed a gun at a store employee, threatened to shoot her, and demanded money. When a customer attempted to come to the employee’s aide, Jones fired a single shot that went through both of the customer’s legs. Jones left with about $200 in cash, and the shooting victim was rushed to the hospital, where he recovered. Less than 24 hours later, Jones entered another corner shop about a dozen blocks away from the first store. Once inside, he reached around a protective acrylic barrier and fired his gun toward the register. The cashier was not physically harmed and handed over about $250. Just a few hours later and a handful of blocks south of the second robbery location, Jones attempted to rob another deli and grocery store. During this attempted robbery, the cashier fought with Jones, and his gun fired during the struggle. No one was harmed by the shot, and the cashier was able to disarm Jones before he fled on foot. Detectives with the Philadelphia Police Department were the lead on the investigation, but the work of several agencies, including the FBI, played a role in the successful arrest and prosecution of Jones. Given Jones’ name, the detectives were able to work with the Philadelphia Probation and Parole Department, who already had a relationship with Jones and could positively identify him in footage captured by store cameras. In addition, the Temple University Police Department had identified a person of interest from campus surveillance video, and police had recovered a ski mask and jacket from the area around the crimes. The investigative team was able to match DNA from the ski mask to Jones, and using the Temple University video and court-obtained phone records, place him in the neighborhood at the times of the robberies. The FBI’s involvement not only brought additional resources, such as video analysis experts and public billboards, to investigating the case, but also allowed the U.S. Attorney’s Office to pursue federal firearms charges that carry longer sentences than state charges. The case was prosecuted as part of the Project Safe Neighborhoods program, which works to bring together the courts and law enforcement to reduce violent crime in communities nationwide. The program was reinvigorated in 2017 and encourages U.S. Attorneys’ Offices to collaborate across law enforcement agencies to direct resources to locally driven crime and violence prevention efforts. A Canadian man was sentenced to more than 11 years behind bars for orchestrating a telemarketing credit card scam that defrauded at least 60,000 victims, many of them elderly, out of more than $18 million. The owner of a Maryland telemarketing company that defrauded small businesses, schools, churches, non-profits, and others out of millions of dollars will be spending time behind bars.